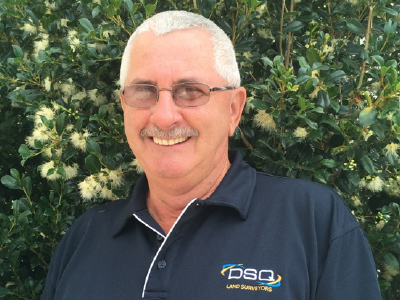 Gary is a former Director of Definium, having retired in 2013 and now works on a part-time basis with DSQ Pty Ltd. He has significant experience in land development, cadastral, geodetic and engineering surveying. After completing 21 years of experience in practical surveying, Gary enrolled and graduated from QUT in 1994 having completed a Bachelor of Applied Science in Surveying. He was registered with the Surveyors Board of Queensland in 1995 as being licensed to carry out cadastral surveys and was also registered as Consulting Surveyor at that time. Gary was a student member of the former Institution of Surveyors Australia from 1991 and gained full professional membership in 1995. He has been a member of the Surveying & Spatial Sciences Institute since 2009 when it replaced the Institute as the peak professional body. Gary worked for several private practice Surveying firms on the Sunshine Coast until 2000, prior to opening his own Surveying Practice. Gary was a business owner on the Sunshine Coast in Queensland from 2000 to 2013 and has overseen an array of infrastructure projects, residential land and unit development projects in South East Queensland. Gary is DSQ’s expert in cadastral surveying and land titling matters and he maintains a close involvement in DSQ’s compliance and quality control.